Update: You're a winner! Congrats to Mary Grace McNamara #22! Two new collections from Sheri Berry for Lyndhurst/Northcott fabric. We have the full collections of both. First up is Costume Club! Costume Club is a collection of prints featuring a retro Halloween design and colorway. The panel shows little trick or treaters heading to the spooky haunted house. Cute little critters. and a mini jelly roll are available. These joys are a little more familiar to me than a partridge in a pear tree. 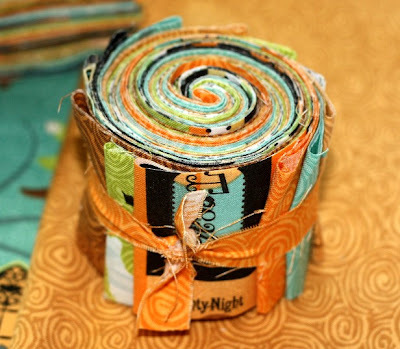 and a mini jelly roll are available in this line as well. These items are available on etsy. Today's giveaway is a 5" or 10" pack of your choice. To enter the drawing, just leave a comment about what kind of berry you prefer. Both are so awesome:) I LOVE strawberries! I love grapes and peaches. A Sheri Berry of course! 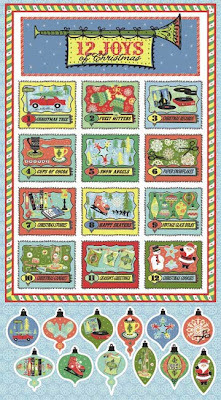 Love the christmassy one.. just look at those cut cars with trees on them!! I love raspberries--that is, the kind you eat! 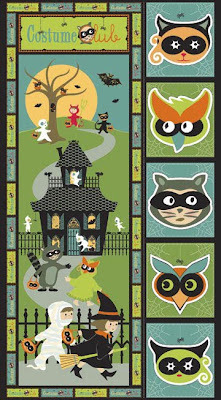 I love this line--made a panel wall hanging for my grandsons last Halloween! I am always a sucker for blackberries but blueberries are always my favorite! we are all about golden raspberries this summer. which i don't actually like, but they are my fav because my daughter is eating fruit!!!! Right now I'm loving the blueberries in my garden...Thanks for the chance! I love strawberries...but blackberries are pretty tasty, too! Strawbwerries are the best specially when dipped in warm chocolate :) Barb. Berry choice - well love raspberries but strawberries are great (and much more plentiful!). I'm all about blueberries. My grandfather used to pick blueberries that grew wild in the mountains of PA. My grandmother made wonderful blueberry pies with them. Nice, fat blackberries! I like raspberries very well, but I'll heave them aside in an instant for blackberries. I love strawberries! But blueberries are making a close second these days. Strawberries right from the garden, still warm from the sun! Delicious! Blueberries right off the bush are pretty darn good too! Love your prizes! Thanks for the chance! picking on my grandfather's/now father's farm is the best! When it comes to fresh I the LOVE strawberries, but when I go to the store buy jam or assomething similar I go straight for the Blackberry....Both are sooo YUMMY! I am a sucker for all berries, but my favorite is blackberry!! YUMMY! I'll take raspberries any day. Right now I am all about the blueberries. Mmmmhmmmm. Oh boy. I'm loving blueberries right now. But I really love strawberries too. Don't care too much for raspberries though. Gooseberries are pretty yummy too! Strawberrys... with vanilla whipped cream! Yum! I love raspberries and strawberries. Both are plentiful in this house when they are in season and I could eat them all day! I am going to have to go with strawberries! We love strawberries w/milk and sugar. Just the way my Mamaw has always made them. YUM!! I just love the Christmas fabric! CUTE! I love Christmas! 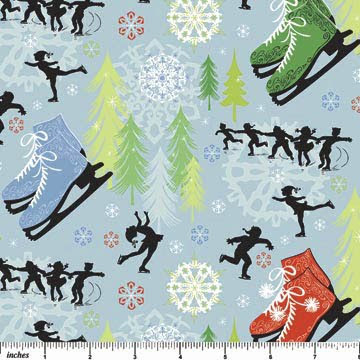 And these fabrics are awesome! I also love Blueberries and Strawberries. Yum!! I love all berries over all other fruit. When it comes to choosing jam I go for raspberry every time so perhaps that is my favorite. I ordered Joy Luck...when should I receive it? I am an Idaho Girl...Huckleberrys are beyond delicious. My my mouth is watering just thinking about them. We pick them in the wild at the end of the summer. since moving to california a couple of years ago, i have to say that my favorite are strawberries at the peak of the season. we went to a farm and picked some this year, and they were so incredibly delicious! 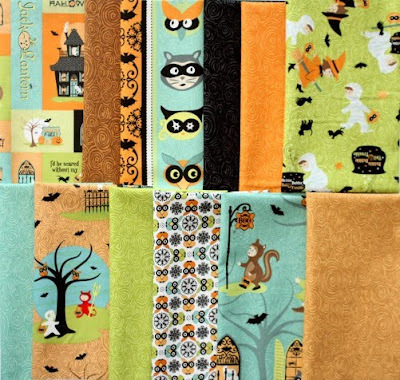 Both fabrics are great but I LOVE the trick or treat panel!! Cute fabric! Strawberries all the way. If they are dipped in chocolate then that's a bonus. I love raspberries!!! I just can't get enough of berries I actually live in Huckleberry subdivision! Strawberries and blueberries are both my favourites! Thanks for the chance! Strawberries, blueberries, cherrries! :-) Thanks for the fun! Strawberries! Love them and thank goodness they'e in season so I can eat lots of them! I have to say I am a strawberry girl. Strawberry shortcake sounds so good right now. beautiful fabric, I love the panels. Strawberries and cream! I like rasberrys and strawberrys the same. Love that fabric...and love strawberries! Ooo! I love blackberries! I have fond memories of picking blackberries from my neighbor's yard as a kid (with permission, of course). Any berries in my belly are wonderful! But, I love to say boysenberry. The word is just too fun! I love these new fabrics. My favorite berry has to be blackberries. I just bought some to make my blackberry and blueberry pie for work. I love Raspberry! Oh wait Strawberry, but then there's Blueberry, I just can't choose a favorite. I like all the berries. 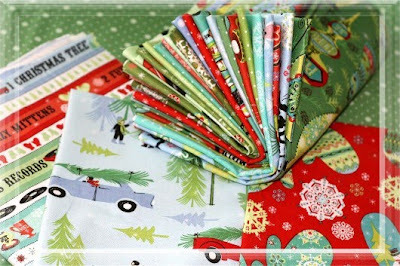 I especially like the Halloween and Christmas Sheri Berry fabrics! I LOVE our own blackberries from our backyard patch! Yum on ice cream or made into a cobbler with fresh peaches!! Blueberries!!! In cereal, scones, oatmeal, yogurt, pies... yum! My favorite Sherry Berry has to be the Costume Club. Great colors and SO cute! Thanks for the giveaway!!! I love berries but the covetted berry is Marion berries from Marion County Oregon. At this time you can even find Marion Berry pie at Marie Callender's and the jam is sooo good too! I love any berries! We grow strawberries, blueberries, raspberries, blackberries and gooseberries. Each one is always my favorite when it is fresh and in season. But gooseberries hold a special spot in my heart. I would love to win the halloween ! I love Saskatoons. They're almost ripe around my house and I'm looking forward to picking them. It's got to be blackberries! I have wonderful childhood memories of picking them with my parents. Love most berries but if I get to choose it is most often raspberries that I chose! Love the fabric- I also like whatever berry is in season but think strawberries are my favorite. Definitely a strawberry but it needs to be ripe. Love the new fabric! There is NOTHING better than a big bowl of freshly picked rasperries with milk and a sprinkle of sugar on top. Unless you count drinking the juice laden milk afterwards! 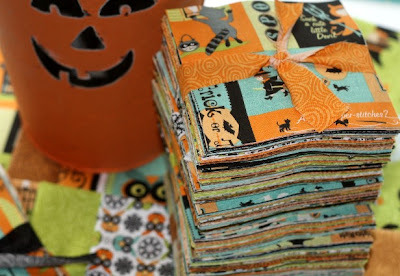 Love the Halloween fabrics - too cute! My favorite berry is blackberries - I just picked 4 quarts (wild berries) and made an awesome blackberry crisp. Make mine Blue!!! I love blueberries like no other! The fabric is wonderful. I love shnozberries. (giggle) Ok, ok I was trying to be original. I'll just say strawberries. Cheers! So hard to choose since I love berries, it's a real toss-up between blackberries and raspberries, but I think I'll have to pick raspberries here! I really like strawberries the best but blue berries and cranberries run a close second! I love your halloween material! Strawberries....I love the Christmas fabric! I like the 12 Joys of Christmas Berry, but you are asking about the kind we eat, I can't choose. I love strawberries, blueberries raspberries, and cranberries. I like them all. I love them both! I can't decide which i like better!! 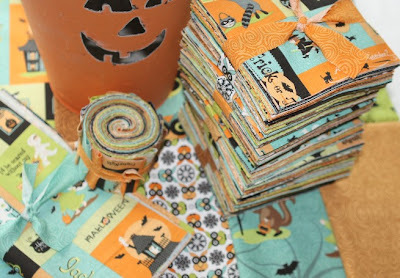 i have a stack of haloween fabrics that are always looking for new companions :) i think I hoard that, I never use it just pull it out around that time and think of things to do. maybe this year i will actually do something with it!! I like the Joys of Christmas. I love the vintage look. Well, being so close to Knott's Berry Farm home of the boysenberry I will have to say just that, boysenberries! They have the best boysenberry pie there . . . omg, delish. Thanks for the opportunity! Loved the new Costume Club! Really cute. My favorite berry would be a juicy blackberry. Thanks for the give away, it is so nice of you. I really really love sherry berry. I love berries. STrawberries first I guess. Hard to pick though! Berry's Costume Club is just too cute! Thank you! Strawberries with meringue or any kind of berry when my mum is visiting as if we can buy them cheap and in bulk she makes jam for me and my hubby. I like the 12 Joys of Christmas. Cute & retro. Both are great. And I'm kind of an equal opportunity berry eater, although jam MUST be strawberry! Strawberries are definitely my favorite!! ...don't remember seeing fabric by Sheri Berry before ~ very cool. I just finished eating a bowl of vanilla yogurt, red raspberries (my favorite), and almonds ~ very yummy! Love all berries...but have a craving for black raspberries right now! I definitely prefer raspberries! Yum. Just made raspberry jelly last week. 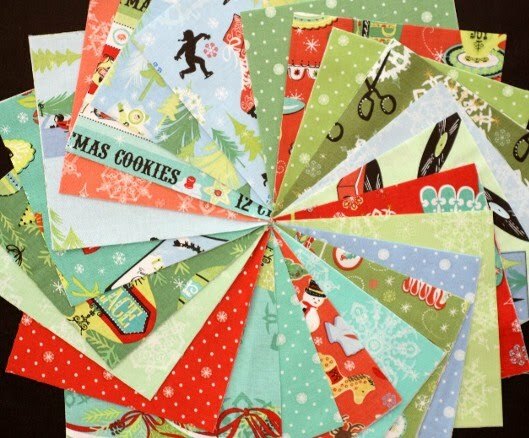 Those Christmas prints are gorgeous!